Under the prevailing Northeast Monsoon conditions, dry weather is expected to persist over the northern ASEAN region. While scattered showers are forecast over the southern ASEAN, there could still be occasional brief periods of dry weather over parts of the equatorial region. 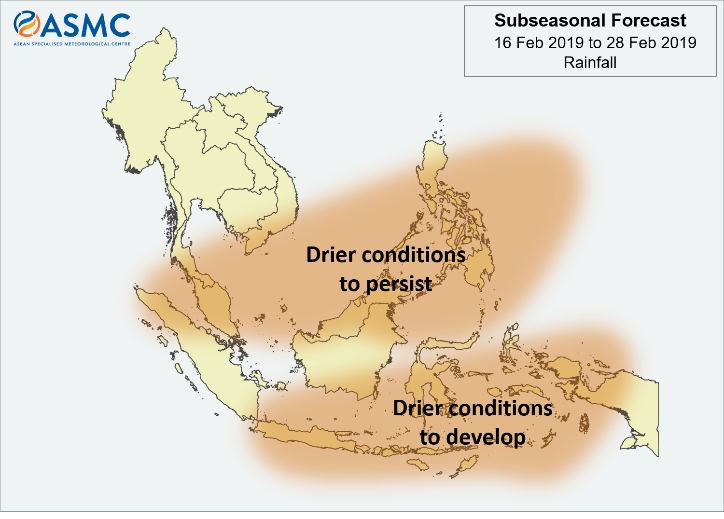 The drier-than-average conditions over the Philippines, Malaysia and parts of Kalimantan in the past two weeks are expected to persist into the second fortnight of the month. Drier-than-usual conditions are also expected to develop in most parts of the Indonesian archipelago. The Madden-Julian Oscillation (MJO) is forecast to propagate through Phase 8 – 1 during this period, and may contribute to drier conditions over the Southeast Asia region. 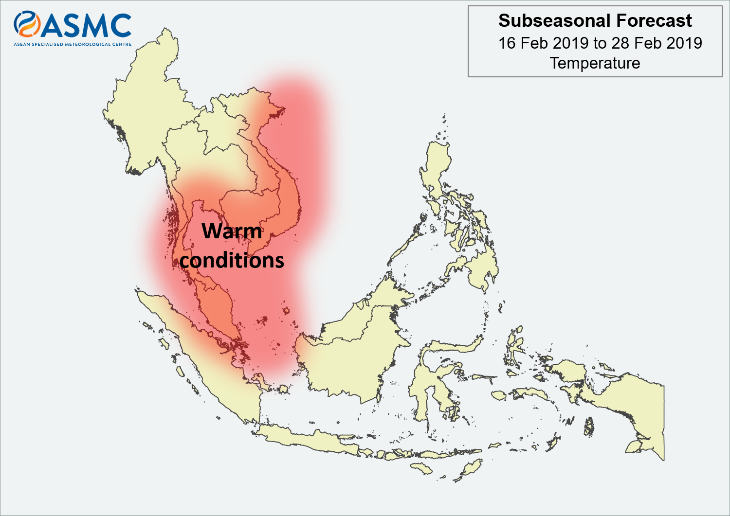 Warm conditions are forecast over Cambodia, Viet Nam, parts of Thailand and Lao PDR, as well as over Peninsular Malaysia.